I'll bet I have seen almost every video on the Internet detailing a Barbecue Chicken Pizza Recipe. I am fairly certain this is the only video that ends up with an authentic pizza that is worthy of an Italian restaurant. The crust is homemade, thin, crispy and smoky as is grilled directly over charcoal. And I want to stress home made. If you are serious about authentic pizza, you need to buy an electric bread maker that I use in this video to prepare the crust. An absolute must in my opinion, and not that expensive at all. It's easy, fool proof, and you simply add the ingredients and wait for 90 minutes. Otherwise, buy one of those pre-made crusts at the store. 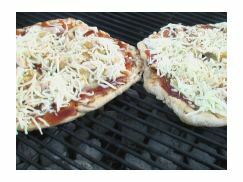 It tool me a few times of using home made pizza dough over charcoal, but luck for you my trial and error period ended in a fool proof method that I am going to share with you for perfect barbecue chicken pizza. Bread Maker: I know I said this already but I can't stress it enough. Get a bread maker. We probably use ours once a week and that doesn't include making pizza dough. It has paid for itself exponentially. Ingredients: The ingredients you can use to make your pizza is truly endless. 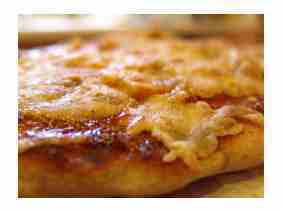 This recipe is a barbecue chicken pizza recipe, but this recipe will work with any ingredients you want to use. Sometimes we have a "personal pizza night," where each member of the family makes their own little pizza. The Crust: This is VERY important. Do not place ingredients on the raw pizza dough. Grill one side of the dough first and bring the crust back in the house. Place the ingredients on the cooked side and then finish it on the grill. This is the key step that I had to learn the hard way. The Grill: Heat up the grill as hot as you can get it. Then, clean the grate with a wire brush. After that, apply some olive oil with a paper towel to the hot grate. Prevents sticking. Do Not Over-Cheese: The crust is the star of this pizza. And truly authentic Italian pizzas done in a brick oven go light on the cheese compared to the pizzas we order here in the states.